Backed by a team of diligent and adroit professionals, our organization is highly devoted towards offering a wide range of excellent quality Woven Furnishing Upholstery Fabric. Backed by a team of diligent and adroit professionals, our organization is highly devoted towards offering a wide range of excellent quality DamaskWoven Upholstery Fabric. By following the current fashion trends, we are engaged in offering an exclusive range of Crewel Furnishing Fabric without compromising on quality. 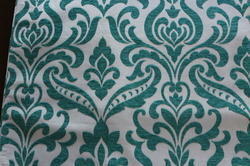 It is widely used for drapery and upholstery and gives Kashmiri look. It is appreciated by our precious patrons for its impeccable finish and unique design. This fabric is available in impressive colors, designs, prints to impress anyone. The offered fabric is mostly used for decorative and interior of residential and commercial purpose. Keeping in mind the different requirements of our respected clients, we are offering a superb range of Designer Furnishing Fabric to our valuable clients. 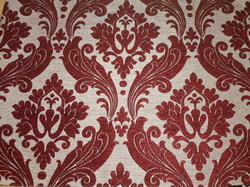 This fabric is ideal for residential and commercial furnishing and provides different look to home. The offered fabric is easily available in floral designs, color combinations to match with any interior. The offered fabric is quality checked under the supervision of our quality controllers to ensure its flawlessness. 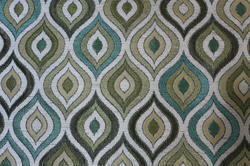 Moreover, our clients can purchase this fabric from us at reasonable prices.